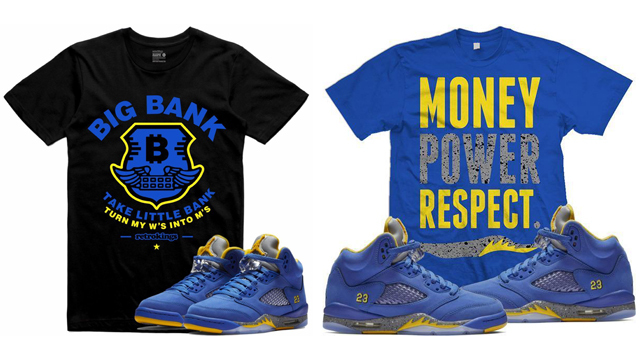 BAWS Clothing brand has a new batch of sneaker match apparel available for the Air Jordan 5 “International Flight” release including tees, hoodies and hats. 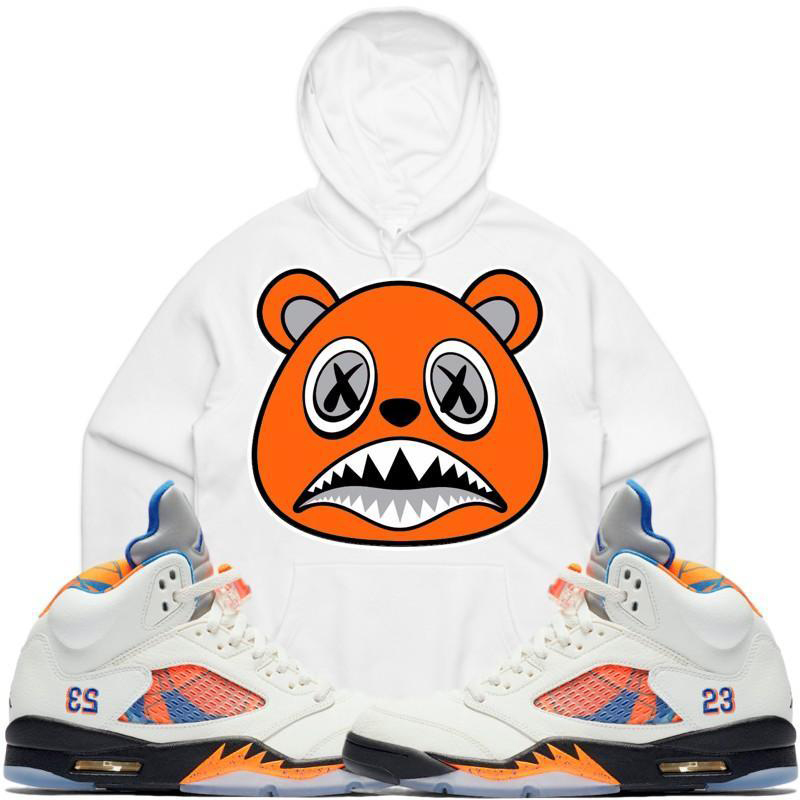 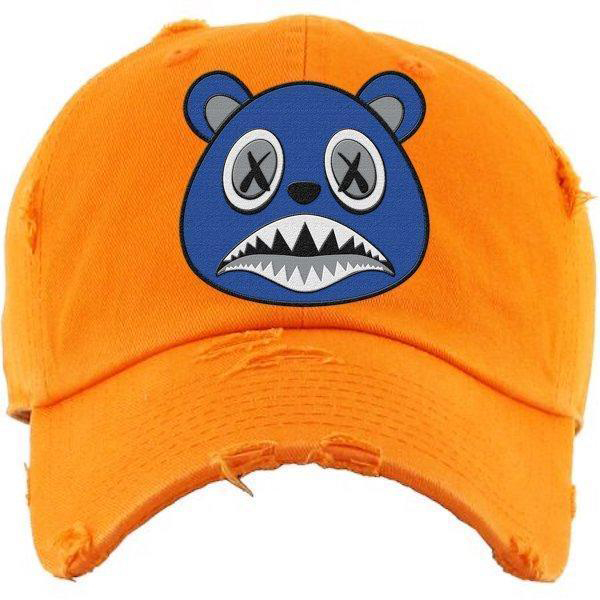 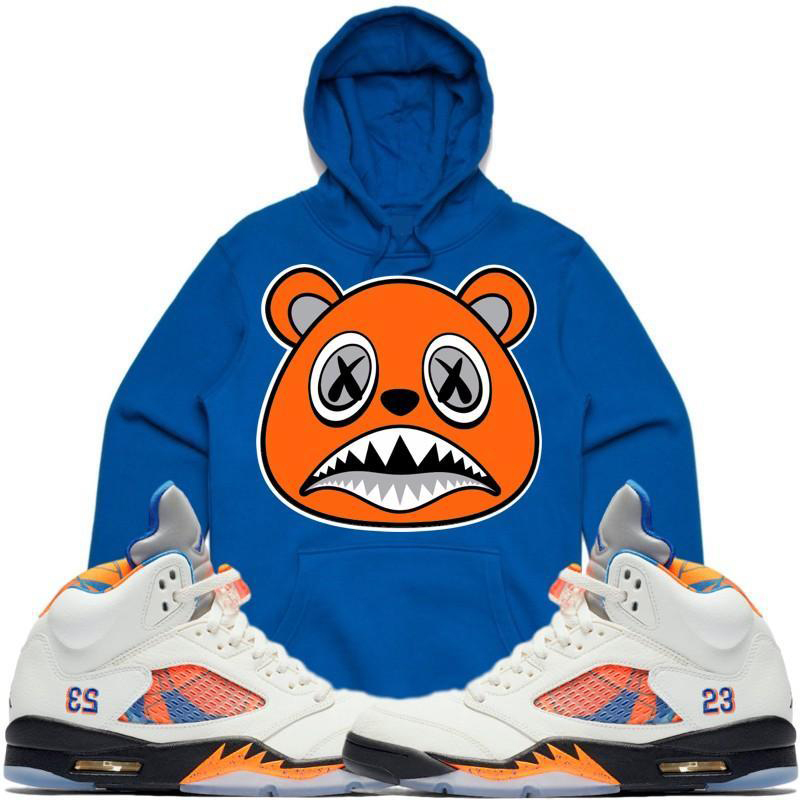 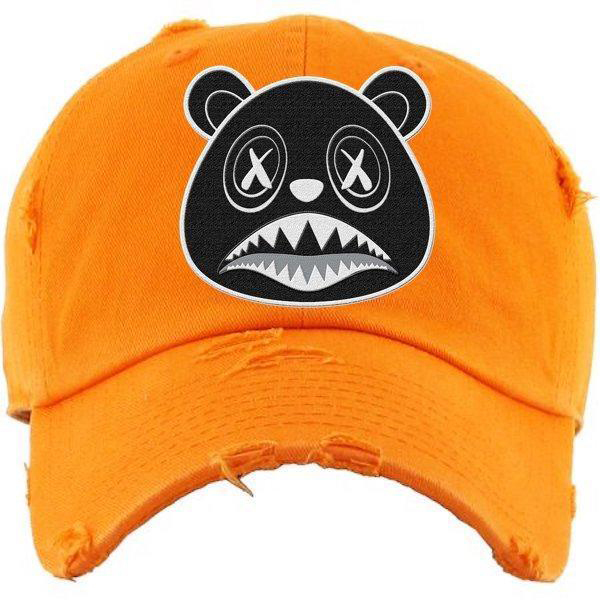 Featuring white and blue clothing styles to hook with the colors on the kicks, included are BAWS sneaker shirts which feature the bear logo in orange, as well as BAWS pullover hoodies in matching color schemes, plus the BAWS dad hat in orange with blue or black branding to top it all off. 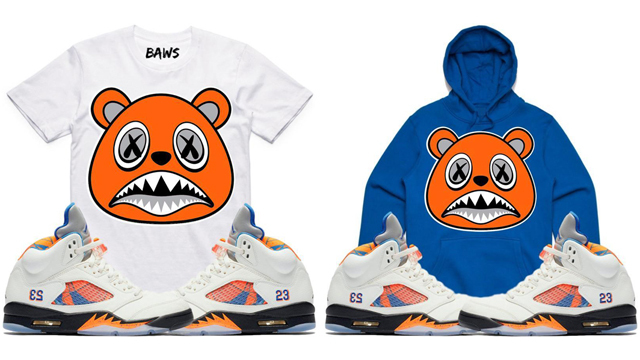 You can shop the BAWS shirts, hoodies and hats to match the Air Jordan 5 shoes below. 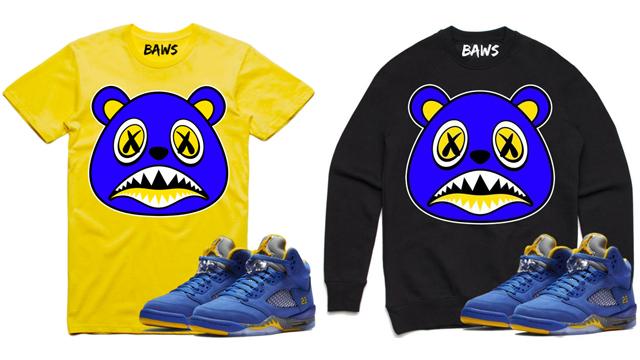 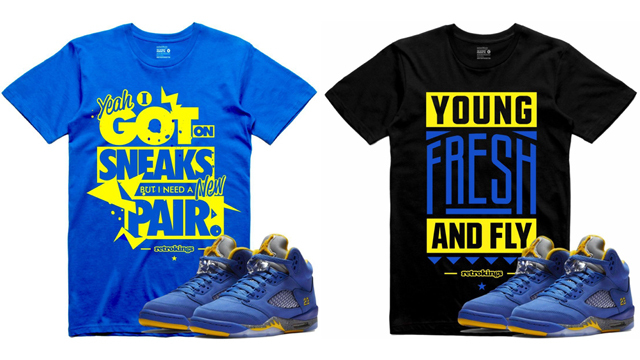 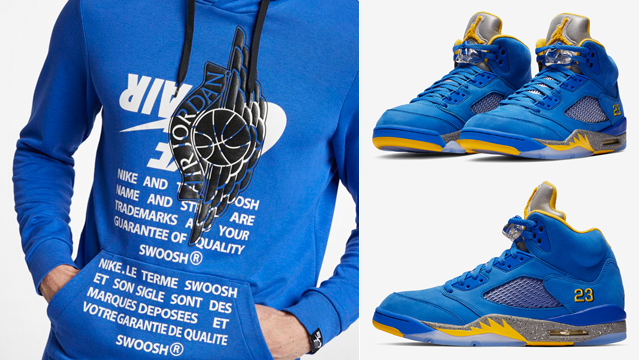 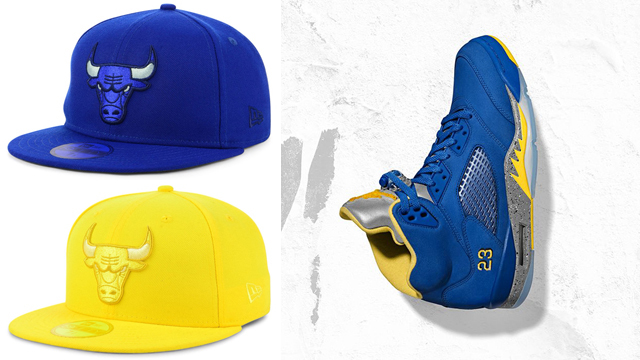 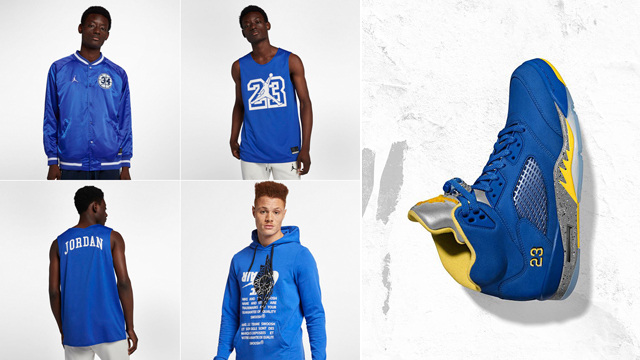 Click here to shop BAWS sneaker clothing to match the Air Jordan 5 “International Flight”.